Empower and nurture your customers for the long term. Your business is always online, even when you are sleeping. 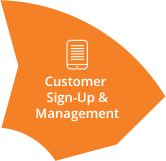 Give your customers the freedom to sign up and engage with your business on any device, 24/7. 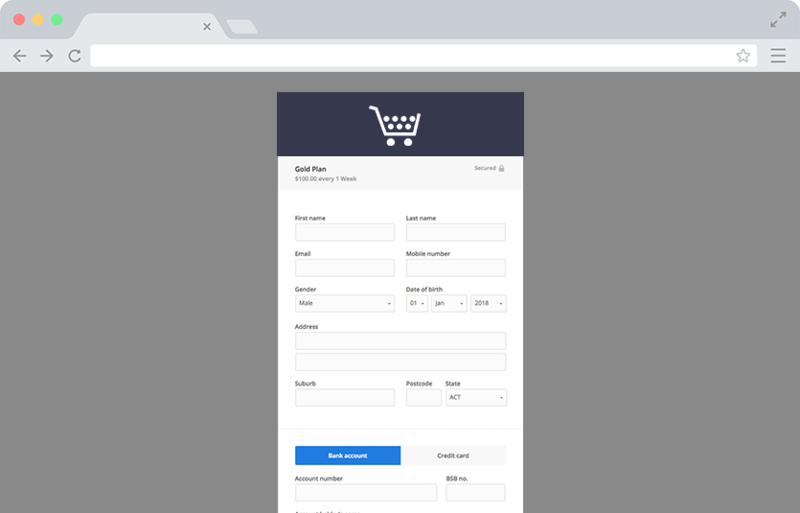 Our responsive online forms work across multiple channels and devices, helping you deliver an omni-channel experience. Share your sign-up forms on all online channels – web, social, email. Promote your offering on a larger stage, across multiple channels and reach a wider, more varied audience, while saving time. Easily and quickly convert your prospects into customers. Knowledge is half the battle. Build detailed insights into your customers with convenient downloadable reports that provide detailed tracking of payment activity, payment status, incoming payments, and most frequently used services. 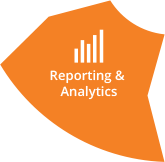 Leverage these insights and send out custom notifications and promotions relevant to your customers’ use and preferences. Hassle-free, fully customised forms. 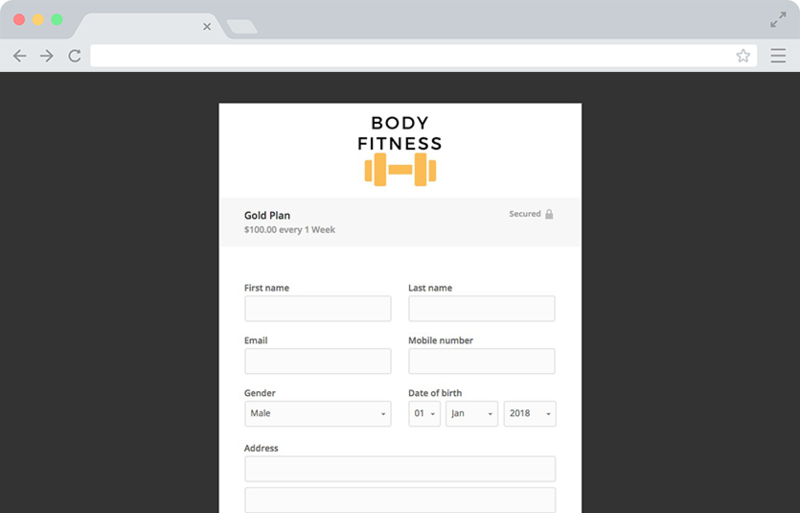 Easily create online sign-up and payment forms and customise them for your brand, with your logo, styling, payment options, as well as any additional information specific to your business, such as Terms & Conditions or legal documentation. 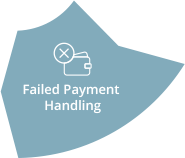 Simplify the payment process for frictionless sales. Easily share your forms and accept online payments from your websites, social media channels and emails. 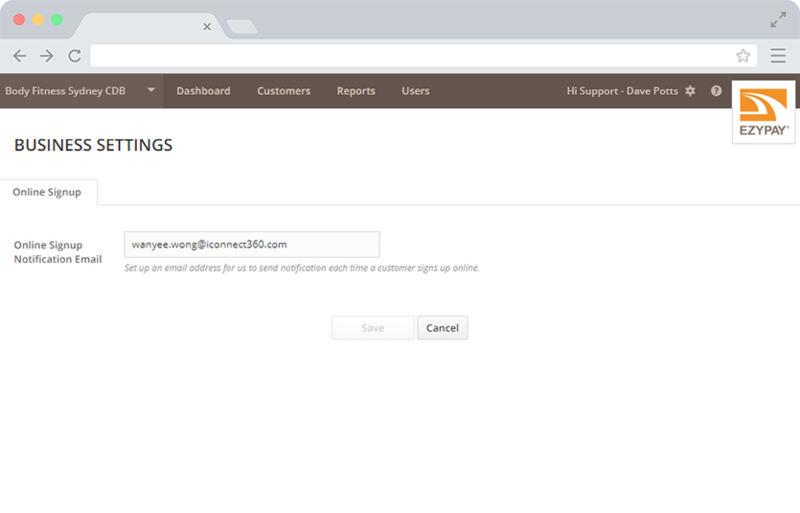 Every form you create, whether sign-up or payment forms, will have a unique URL that you can share with current and prospective customers across all your online channels. 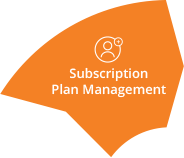 Keep your customers informed with immediate notifications, triggered by specific events and actions such as a customer sign-up, failed payment or payment method changes. 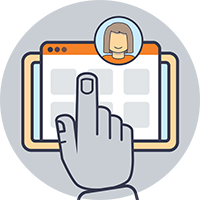 Ensure transparency and constant engagement with your customers the smart way, thanks to our automated features that eliminate the need to manually send emails. Issues or enquiries about payment? 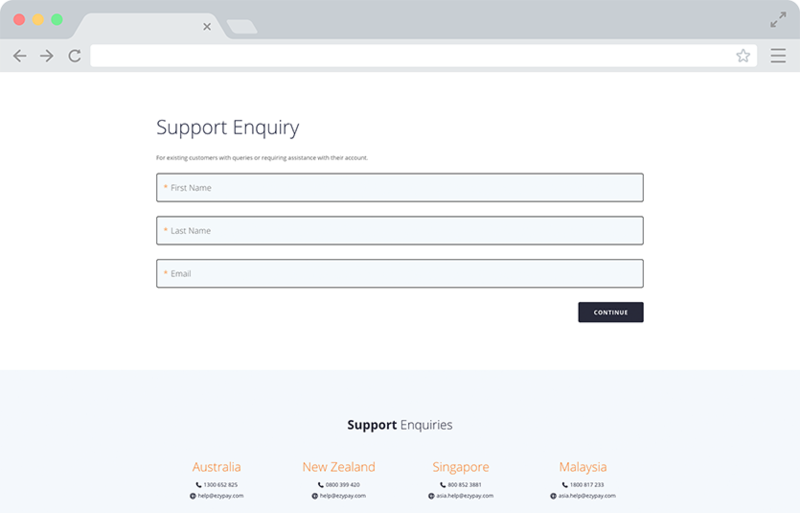 Your customers can directly contact Ezypay for support and help. As your payment platform, our team will promptly provide assistance and resolve any payment-related issues your customers are experiencing. Leave it to us, we’ll get it sorted.